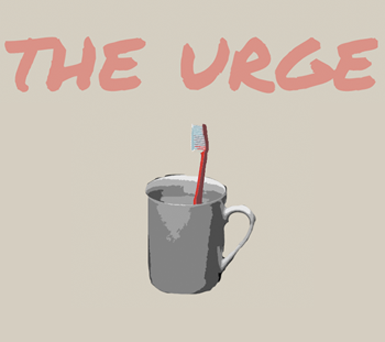 The Urge is a choice-based piece about a serial killer. I played it to three endings. You’ve come to understand that all people have their own “they”. It can be the police, parents, bullies, co-workers or partner. And it’s hard to reach out and meet others. There’s not really a ”Killbook” or ”DieSpace” for murderers. and though it’s difficult in the abstract to feel too much pity for a person that keeps their victim’s heads in the freezer, there is something touching about some of the specific observations in this story. Even when you try to be “normal”, it doesn’t really work, and the closest, most intuitive connection you ever have in your life is with something just as monstrous as yourself. My feelings about this game were really up and down. At one point I was sufficiently repelled by descriptions of torture that I just wanted to quit (and very nearly did so, fearing that most of the game was going to be goreporn, which I do not enjoy at all). At others I was amused or felt some pity for the protagonist, or enjoyed a particular observation about human nature. (“click here for happiness” is a great moment.) At still others still I found myself getting bored. There’s quite a lot of text here, and some of it is doled out on a timer line-by-line. In the more extended passages I got impatient, especially when the doled-out text also contained typos and minor grammar errors. I find it easier to ignore those sorts of problems if I’m at least allowed to read past them quickly. I also felt that the major branches were used in a strange way, but more after the spoiler space. The biggest choice in the game is whether you stop at a red light or not. If you do, then you go on home safely, and subsequently start a normal relationship for a while, until you wind up needing to kill the cousin of your lover because that’s just how things go. If you don’t stop, you get into a crash and the police find the severed head you had in your car and you go to prison, where you languish until your release nearly 30 years later. In either branch, there’s a huge amount of story that happens both before and afterwards, so it’s a bit of work to go back and try the other course. Now of course there are points to be made with the idea that a trivial difference in action produces a huge difference in outcomes, and that fate can be a bit arbitrary. Besides, the choice could also be seen as “follow the law in a small way” vs “disobey the law in a small way”, and perhaps we can view that as manifesting the personality of the protagonist in some broader sense. But I couldn’t quite shake the feeling that the thematic resonance of that choice — run red, don’t run red — didn’t match the themes of all the rest of the text. The text is all about closeness and distance, about attraction and destruction, but this choice, the biggest and hardest to undo choice in the game, is not about those things in any meaningful way that I could see. So it felt as though it was operating at cross purposes to the story in which it appeared. Other reviews: PaulS, Sam Kabo Ashwell, Liz England.